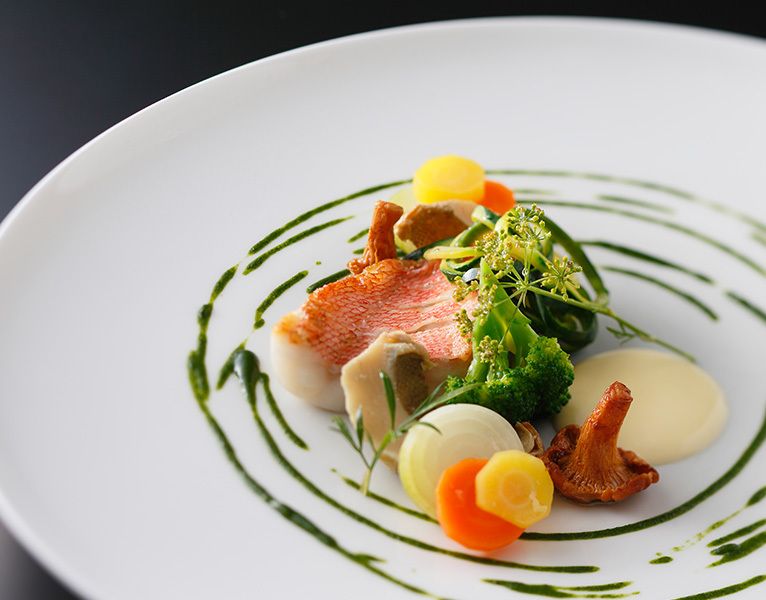 are carefully selected and prepared by chefs for exclusive menus. The sunlight radiating through large windows and 18 meter high open ceiling space provide utmost comfort. 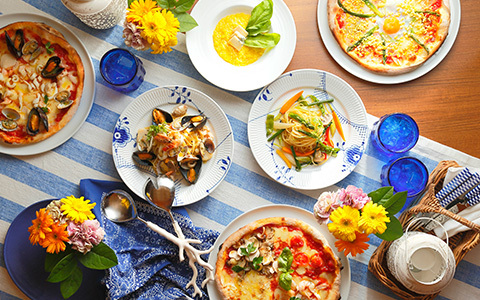 Enjoy authentic Italian cuisine made by our Italian chef. Our contemporary French uses plenty of fresh local vegetables for casual yet delectable dishes served in the simplicity and warmth of the European design interior. Through the oversized window, see the green mountain range of Hiei and Flower Fountain of Otsu Port. 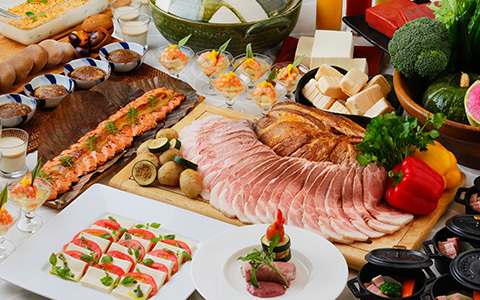 Fresh ingredients and tastes of the season delivered from the countryside are uniquely arranged and served buffet style. Here is our main dining hall that adds originality to the traditions of Japan. We serve seasonal Hakoniwa Hassun and soup stock made with carefully selected ingredients – cuisine devoted to technique and hospitality. 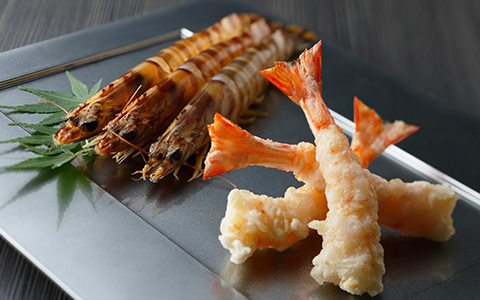 Try tempura of select ingredients deep fried right in front of you by the chef and served hot over the Kappo style counter. 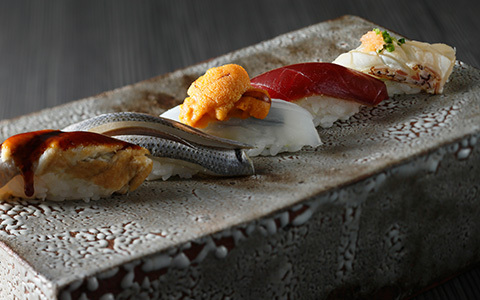 Edo style sushi featuring excellent ingredients are served at the Kappo style counter. 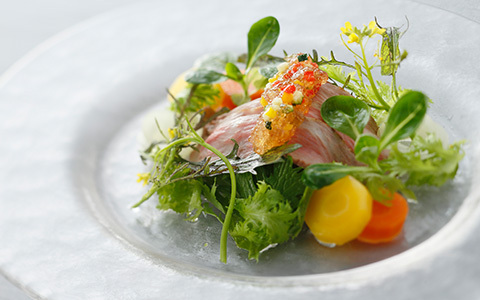 Ingredients are masterfully prepared with refined salting, steaming, simmering, and dressing techniques. Fine meats are teppanyaki grilled in a Kaiseki style course. 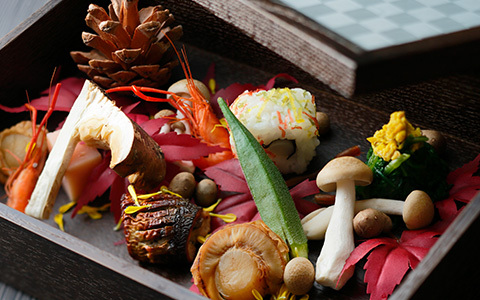 One of the three major Japanese Wagyu, Omi Beef, is featured along with a colorful variety of seasonal seafood and ingredients of Shiga. 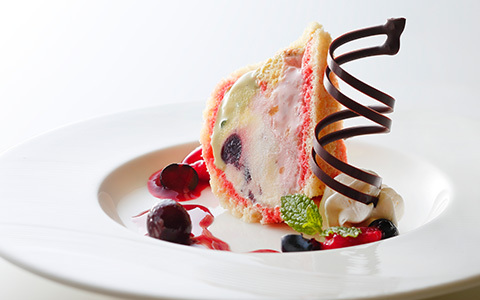 The location is perfect with starry skies above and Lake Biwa and Hira Mountains below. 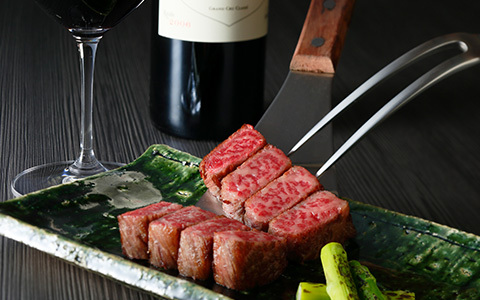 Enjoy prime cuts of meat with the natural breeze, beer, and local sake. Delight in our drinkable sweets “Carino” and Mlesna Tea as you relax in this comfortable shop offering café menus and light meals. 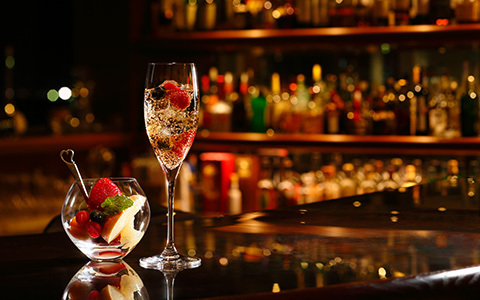 In addition to the bar counter, feel at home at our sofa seats at this roomy resort bar. 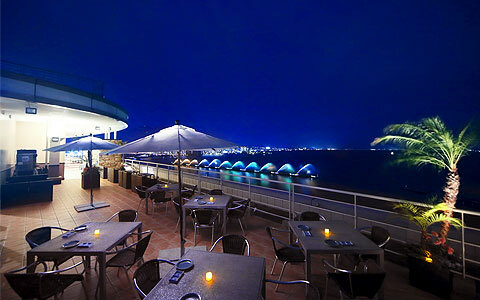 Spend the evening taking in the nightscape of Lake Biwa.